ElectroRayma was founded as a company in 1990. From the outset, it has paid special attention to the technical and technological requirements of companies, focusing on the manufacture, assembly and maintenance of electrical systems and equipment. In doing so it has specially developed its Technological Research and Development Departments, applying a policy of specialisation and continuous improvement. Electrorayma is currently based at the 'Río do Pozo' industrial estate in Narón (A Coruña, Spain), with premises covering some 4,600 square metres. 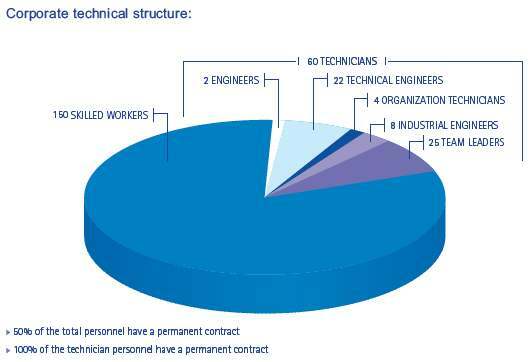 As a company with a strategy of constant growth and diversification, Electrorayma currently employs more than 210 specialised technicians, with a series of human, productive and technological resources that have allowed it to constantly increase its turnover and guarantee competitive prices and service to its customers. Quality forms an essential part of work, making the rigorous application of methods an absolute necessity. 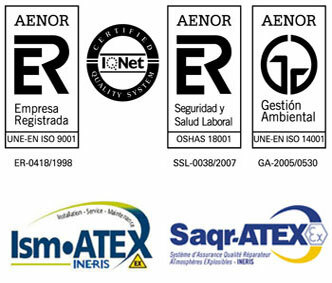 For this reason, since 1998 ElectroRayma's working procedures have been certified by AENOR according to the ISO 9001 standard. Safety is another of our priority objectives. To ensure its application, we have a Safety Department with specialised technicians who produce and implement Safety Plans to cover any type of incident, and which are certified according to the OHSAS 18001 standard. Our activities are also characterised by the respect towards the environment; for instance, ElectroRayma has established an action plan for the company to be certified according to the ISO 14001 environmental management standard.